I see your God who has done everything already, and I see the Anti-Christ. Its message is that the work is done, or the work is permanently reserved for Him. Jesus accomplished His part, which, as it happens, was all that needed to be done. In an ironic twist, Jesus is turned, and used as the pacifier to keep us from doing the work of Christ. Jesus, the model of taking on all burdens, is invoked as a reason to not take on burdens--because He already took them all on. 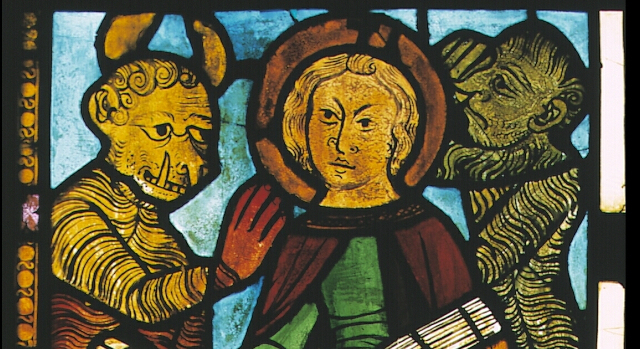 Jesus is twisted, and used as the pacifier to convince us that reading sacred texts, performing rituals, and obeying leaders and rules is the whole of the work. But no one believes it; we can sustain it only for a time. The texts, rituals, leaders and rules themselves point to something more, and betray the attempt to lull us. Moreover, the suspicion that we are responsible only grows with time, even as the harsh prospect that the burdens are ours is frightening. Here is where Jesus, the Savior, the Model, offers not so much comfort as hope and faith and encouragement. The burden is great. The work is real, and daunting. And that cliché phrase that isn’t even scriptural suddenly resounds as if from Christ: It won’t be easy, but Humanity and what it may become is worth it. While maladies such as mental illness or muteness are now rarely superstitiously reduced to demon possession, miracles of tools which can help the mute speak are emerging. These technologies are in early stages, but they can already begin to break down the barrier of muteness. Here, the autonomy and leadership of deaf communities is an asset as they can create, direct, and use these technologies to foster greater communication and connection. Here are two such approaches. 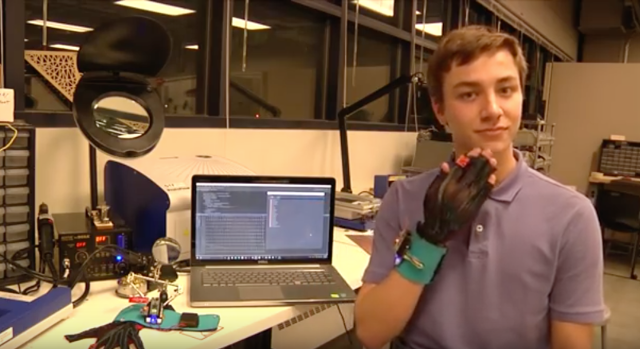 SignAloud is a gesture glove which a signer can wear which will send the signing information to a computer over bluetooth which will then interpret the signs and vocalize them. While our attitudes towards and tools used to address and heal muteness have changed, the desire to help the mute speak remains just as worthy a goal for Christians and non-Christians alike. 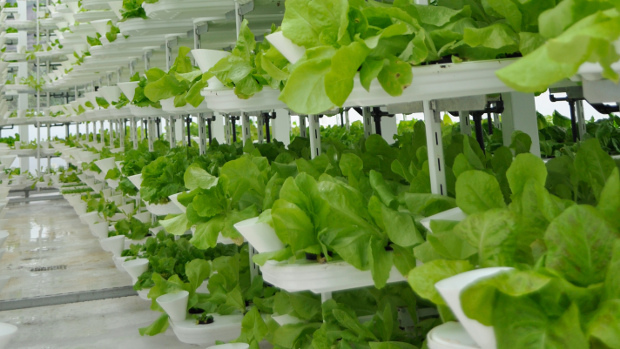 Decades later, facing increasing challenges of pollution, climate change, and disease, we are beginning to develop new techniques in genetic-engineering, hydroponics, aeroponics, and vertical farming which have the potential to increase food production, food security, and prevent disease. These certainly face their own challenges, but they also provide methods and tools for us to emulate the works of Jesus as they can multiply food. And as this can better lead to feeding the hungry, this is a worthy goal. When Joshua led the Israelites to Canaan--a land where they could settle and grow their own food--manna from heaven ceased to appear (Joshua 5:12). God didn't disappear; after all, it was God who had kept them whole in the wilderness and delivered them to the promised land. We couldn’t have known that people were starving or trafficked in different parts of the world 100 years ago. We likely couldn’t have known that people were starving or trafficked 5 miles from us. And if we could know, we couldn’t do much about it. Perhaps there is some excuse for evil that we recognize hypothetically, but that it is impossible to do anything about. But what do we say about evil that we recognize, and that we understand we can do something about, but that we refuse to? Or, that we forget to, or don't think to? Or find too overwhelming? We live in a world where we know of many evils, and we know how to address many of them, at least in initial ways. And we can recognize, triage-like, that some evil is bleeding out life and hope faster than others and so requires more intensive care, even while many evils seemingly remain far beyond our current abilities to address. The more we work to address the evils, the better we become at addressing them, and the more miracles and surprise discoveries attend our work. We will certainly make mistakes early on, and throughout, but we will also become more effective and efficient through the work if we're humble and mindful. So what is the role of God in a world like this? Where we--the children of God--have everything we need to start to address clear evils, and most of what we need to fix them? It’s a rhetorical question. Modern advances in medicine and technology have blurred the line between life and death as we progressively reach to the dead using our tools, technology, and desire to heal as we call them to "arise". We now have the ability to preserve life in vegetative or comatose states allowing doctors and family to explore many types of treatments. These states, which would have meant almost certain death -- if not interpreted as death -- in ancient times have become increasingly treatable. Cryonics is an emerging field with successful outcomes performed on animals. This offers hope to some who may be able to "sleep" until treatment can be found for their illness. Certain types of surgeries involve stopping the heart and lungs for hours at a time. Doctors and nurses follow rituals of defibrillator use to restore heart function. CPR techniques save the lives of many, bringing them back from death. We use the organs of the dead to preserve life for the living -- which would have been unfathomable and likely objectionable to ancient and even relatively modern peoples. Some engage in early, crude efforts to replicate the consciousness and intelligence of loved ones from their digital artifacts. Certainly, along with these tools and technology come the ethical questions of how & when to administer them. But as we seek to ethically preserve life and to recover our dead we can follow the example Jesus set in healing, even when that healing crosses (and blurs) the line between life and death. The approach of attesting: “Jesus understands you. Jesus will heal/comfort/lift/unburden etc. you.” can work to deceive the attesters that the burdens of others are Jesus’ to carry. This approach can, ironically, separate us rather than bind us together--because we would-be healers and healed, throw our hands up (even if in prayer) rather than extend them to another. This approach can work to soothe and trick the evil doer into thinking he’s not responsible for the evil he carries out or facilitates (even through inaction); and if he is somehow to blame, it will be fixed by Jesus anyway. But these interpretations are misreadings that deceive us away from the work of Christ. 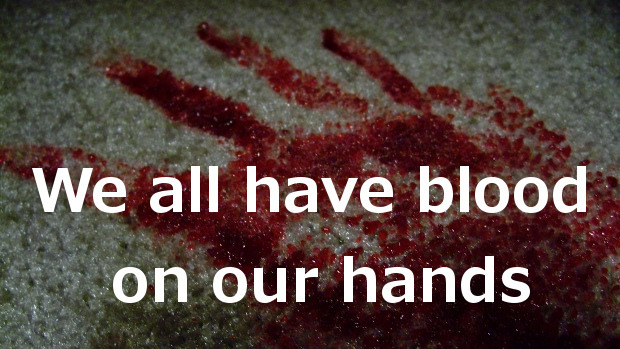 We all have blood on our hands. Christ’s true followers are doing something about it. Recent trends indicate that organized religion is declining in many developed western nations (source). One way to respond to trends like that is to become zealous about defending faith. This approach often has disastrous results as religious zealousness pits its own righteous desires against others (including their own). Ultimately, it divides the Body of Christ through contention. An example of this is Peter’s defense of Jesus as he was arrested. 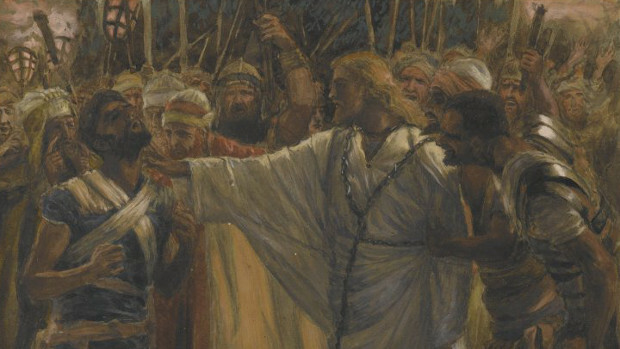 The defense of Jesus was a righteous desire. Unfortunately, his zeal that lead to contention was out of line. Currently, I’m saddened and ashamed of all the ears being cut off in the name of religion today. Swords are drawn on various sides as authoritative exercises of religious institutional power cuts off members who are hurting. And swords of indignation are swung at the flaws of religious institutions. We even see this play out in families where faith can become a contentious wedge rather than a healing balm. 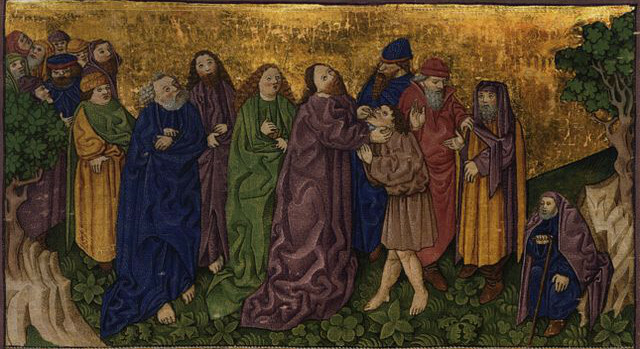 Contrast this with Jesus’ response to Peter and Malchus as he stops Peter and heals Malchus’ ear. Can we see in this example how Christ is perhaps calling us to put away our religious and institutional weapons and instead see and heal the suffering of others? Will we stand up to destructive zealotry and say, "No more of this!" as we then seek to be healers? With so many who are hurting today, we have a much greater need for healers and peacemakers than we do for zealots. I think we all have the responsibility to find ways to put injured ears back on and begin listening to one another. "It is customary to blame secular science and anti-religious philosophy for the eclipse of religion in modern society. It would be more honest to blame religion for its own defeats. Religion declined not because it was refuted, but because it became irrelevant, dull, oppressive, insipid. When faith is completely replaced by creed, worship by discipline, love by habit; when the crisis of today is ignored because of the splendor of the past; when faith becomes an heirloom rather than a living fountain; when religion speaks only in the name of authority rather than with the voice of compassion--its message becomes meaningless." 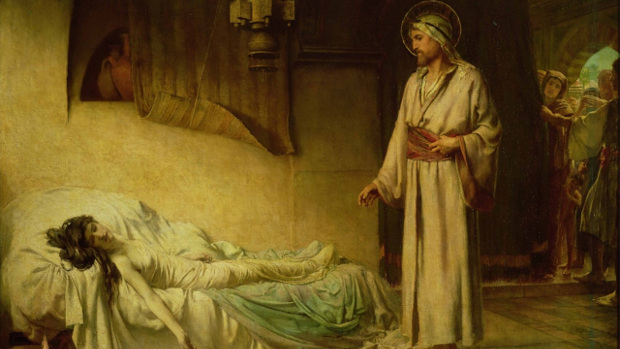 Perhaps the challenge for religion today is for it to produce more healers than zealots, to listen rather than attack or contend, and to re-commit ourselves to better emulate the works of Jesus, the Master Healer. A beautiful Christmas video from the Mormon church describes a world without a savior--where we couldn’t take back mistakes; where every heartache lasted forever; where wounds never healed. 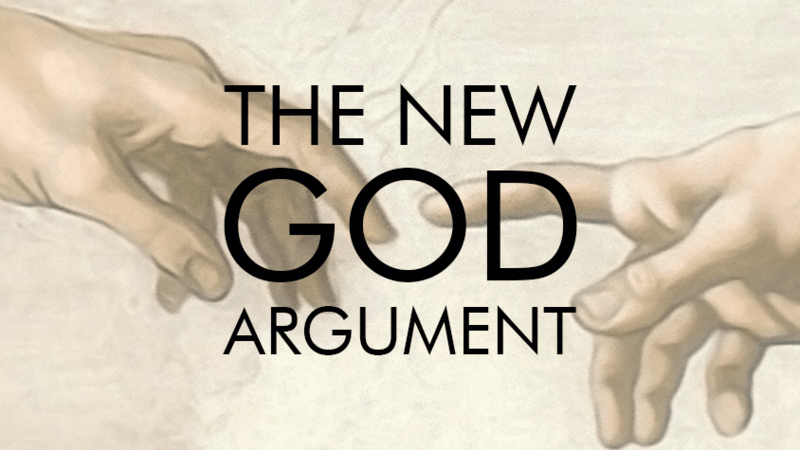 Without Jesus’ acts, so the argument goes, humanity would be infinitely and permanently deficient on a divine ledger. With Christians, I believe that Christ restores the balance on such a divine ledger. But this belief is not in reverence to past abstract metaphysical acts. If it were, I see no moral value in it. I can’t comprehend it; no one can. It’s strange to even try to be grateful. I take it the only way anyone can: I take it for granted. I trust He’s not offended by this. We can understand Jesus’ acts as past abstract metaphysical tasks (i.e. having compensated on a divine ledger), or as present motivation to join the work and take up the cross of the world. The two aren’t mutually exclusive, but only one moves us. There were wounds that didn't heal, such as polio and smallpox; but we learned to heal them. And there are mistakes that we are--if ever so slowly--learning to overcome, such as sexism, racism, materialism, and turning a blind eye to those we oppress or allow to be oppressed. And we can just now imagine a future where there will be no heartaches that will last forever; where death, the last enemy, may finally be swallowed up. But these improvements have not come about, nor will they come about simply because of ancient metaphysical acts, even if such acts were necessary. 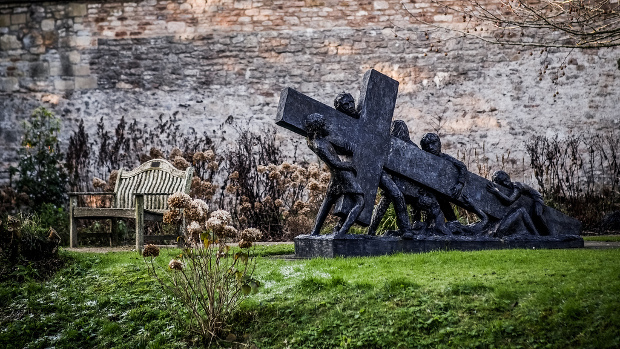 As abstract ideas, Jesus’s acts to compensate on a divine ledger are by definition part of the setting or backstory; they are not characters in the current plot that we must continually prop up to remind the audience. 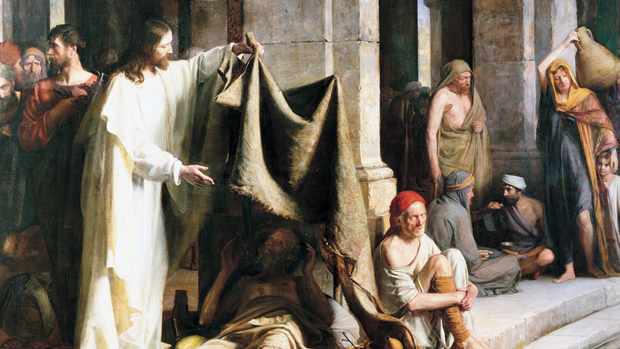 It’s not blasphemy to claim that Jesus’ acts haven’t directly cured any diseases. Nor is it right to say that His acts--and the mindset that they introduced--had no influence on such progress. No, the progress has come from humans following the example of Jesus (in deed if not in word), and joining Christ by taking responsibility for wounds, mistakes, and heartaches. There may be a metaphysical need for a savior, but the only work we need concern ourselves with is not adoring that savior from afar but with joining His current work of healing all wounds, overcoming all mistakes, and making all hearts whole, forever. Whether through an unexplained miraculous healing in ancient times or through utilizing the efforts of those who have developed modern technology, acts like bringing hearing to those who seek it emulate the works of Jesus. On this night the universe tipped its hat to humanity. The animals, the angels, and the stars all joined in proclaiming: We hereby entrust this to you. It was on this night. Though made sure in Gethsemane and on the cross, this was the moment. Not the moment of creation. Not any other moment of any other person, prophet or prophetess. This was the moment the universe gave the torch to humanity--through the child born, the son given. And Christ responded by accepting, or taking responsibility for it all, through His life and faith in the efforts of those who would follow. And His human followers in deed will continue to carry the torch until the trust is fulfilled, or it reaches a race more worthy. Certainly there are many cases where fevers are life-threatening even today, but we often think of fevers as an inconsequential symptom of illness. Today we have largely "rebuked" the fever through antipyretic drugs and therapy. But how did this happen? And what does that tell us about the role science and technology can play in emulating the works of Jesus? While the origin of antipyretic therapy is not known, ancient people's have long known about the antipyretic properties of plants like the leaves or bark of willow and myrtle plants. These treatments were diluted in their efficacy, however, without concentration of the ingredient with the antipyretic property. It wasn't until 1763 when the first scientific, clinical application of these properties was studied by the Reverend Edward Stone as he systematically administered willow bark to 50 patients suffering from ague (malaria) with positive results. He submitted his findings in letter to the Royal Society of London. In 1829 the French pharmacist Henri Leroux isolated pure salicin from white willow and demonstrated its antipyretic properties. Building on that work, in 1838 the Italian chemist Raffaele Piria hydrolyzed salicin into salicylic alcohol from which which he produced salicylic acid. Then in 1874 the Scottish physician Thomas MacLagan conducted one of the first clinical trials of salicin as he treated rheumatic fever. With the chemical process and formulae defined and pharmaceutical application studied, industrialization began immediately. In 1829 Kolbe and Lautemann began commercially synthesizing salicylic acid which lead to its commercial form: sodium salicylate which gained widespread popularity. However, adverse side-effects limited its application. In 1897 the German chemist Felix Hoffman who worked for Friedrich Bayer and Co., in trying to derive a substance from salicylic acid which could avoid these side-effects, succeeded in acetylating the compound's phenol moiety to produce acetylsalicylic acid into a stable form. This was then commercialized as a drug called “Aspirin” in early 1899. One theory of why the name "Aspirin" was used is that it comes from the patron Saint of headaches, St. Aspirinius. The the turn of the century many variations of the compound had been created which include: antipyrine, antifebrin, phenacetin, acetaminophen, and pyramidon. These were followed by phenylbutazone, the fenamates, and indomethacin, developed in the 1900s. However, the exact mechanism by which these drugs exhibited their properties was unknown. By the 1970s experiments showed that aspirin-derived drugs limited the formation of prostaglandins by disrupting the cyclooxygenase (COX) activity of prostaglandin endoperoxidase synthase. A hypothesis was formed of the existence of multiple forms of COX with various tissue distributions by observing that acetaminophen inhibits prostaglandin synthesis in the central nervous system but not in other tissues. It wasn't until 1991 that this was proven. 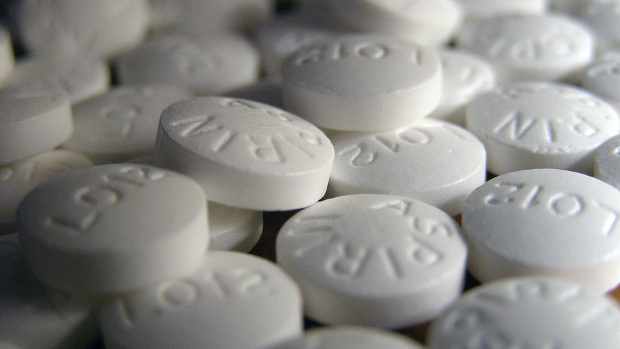 Today, work continues to lessen or eliminate the toxicity that still remains in aspirin. And nano-technology promises even greater possibilities in drug administration on the horizon. The history of how we have developed modern medicine is fascinating as it has relied on the joint effort of physicians, chemists, industrial technology, and biological sciences. It is through the persistent use of these tools that we have come to regularly "rebuke" fevers which was a work that Jesus exemplified so long ago. And it illustrates how technology, science, and industry are instruments for us to use as we seek to do the works of Jesus to heal the sick. Science and technology hasn't replaced God. 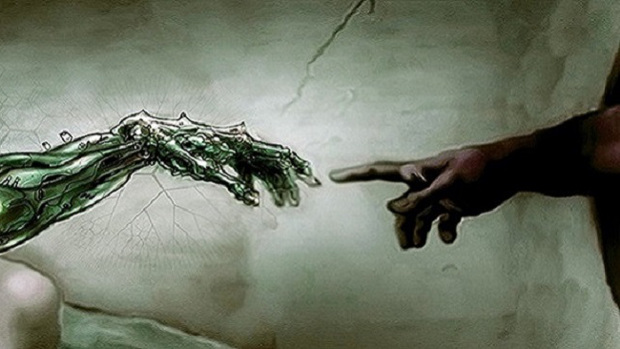 Science and technology is enabling us to become more like God and Christ. We are either the children or creators of God. Either way, we have a claim on God. As a race, we have matured beyond worship as obeisance to stem violence or cruelty. Jesus’s life focused our worship from a scattered scene of offerings and rituals to turn our attention to taking responsibility for death and evil. Our claim is that God won’t haphazardly rain down death and evil on us. These happen because of humans or nature. And God’s claim on us is that we will make death and evil less likely, less damaging, less frequent, and less permanent; until, with Christ, we vanquish them. While many find peace and independence operating with their physical limitation, for many who are disabled, independence is a significant struggle. This can especially be true when use of resources, locations, and facilities is limited due to lack of accessibility. This dynamic comes through in the story of the "infirm" man Jesus encountered. His desire to seek out a form of healing available in his day was repeatedly rebuffed as others with greater access would rush in ahead of him. He felt alone and helpless saying, "I have no man" to help him. This feeling of isolation and loss of independence can be just as powerful to heal as the physical limitation itself. This can be healed through outreach and creating greater accessible spaces, environments, and communities. However, this can also be done through creating accessible technology which can aid in overcoming the physical limitation. 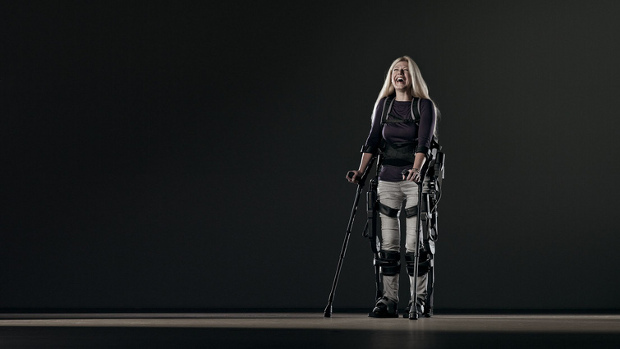 A walking exoskeleton is one technology which parallels this ability to heal as people begin to "take up [their] bed, and walk". This video showcases how this can restore both independence and mobility and how family, doctors, technicians, engineers, and our communities can become that man or women to bring greater healing to others enabling them to "take up [their] bed, and walk". 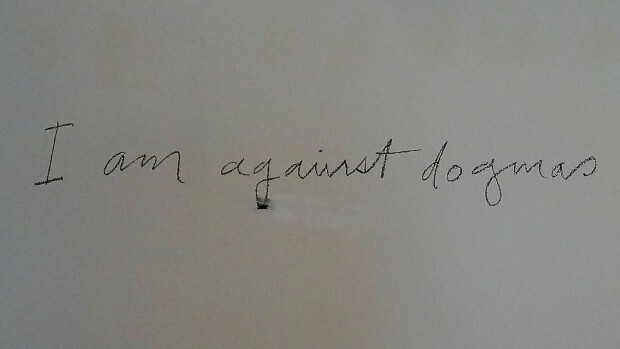 With Jesus, I am against dogmas and dogmatic thinking, religious or otherwise. This mandate to use power to "heal all manner of sickness... and disease" has been a call to many great Christian Saints through the ages as they sought to use the materials of their day to heal sickness and disease. Today this call continues in our hospitals, tools, and technologies which grow more sophisticated and more powerful. Our tools today, and the works of healing they can perform would be seen as supernatural to ancient peoples, but they are no less miraculous and remain very much at the heart of how we choose to respond to this great Christian mandate to heal. We now stand at the cusp of revolutionizing medicine and healing as we know it through our understanding of genes and our development of gene therapies via our tools and technologies. 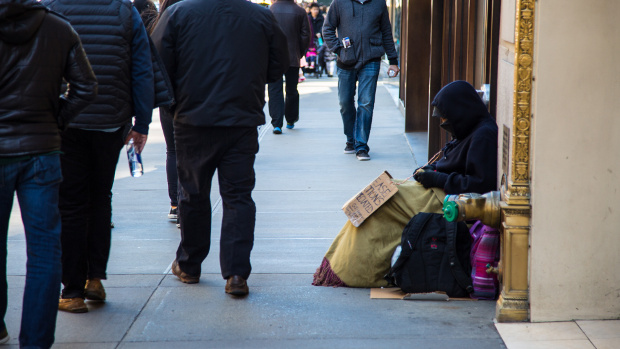 While these tools and their mechanisms are certainly not supernatural, our radically compassionate application of them to heal the sick -- many of whom are marginalized in our societies -- is nothing short of a miracle. How will we choose to wield these powers which will also have power to destroy? How will we ensure their far, compassionate reach, especially amongst the marginalized and forgotten? God continues to inspire compassion and charity in many who, through the use of tools and technologies of the day, seek to heal the sick. And as we see how these tools and technology "[give us] power... to heal all manner of sickness and all manner of disease", this great Christian mandate will live on. Whatever the historical rationales were, worship today that doesn’t aspire to emulation is empty. We give altogether too much effort to describing how great Jesus was as a mark of the fixed gap between us and Him. The reason Jesus is worthy of worship--the reason any being is worthy of worship--is because that being has lived, or is living in such a way that is a significant moral step ahead of us and others; it’s a mode of life worthy of not only our admiration, but our aspirations, and we work to follow that lead and close the gap. In this way, we should hope that we would worship Jesus; for worthy is the Lamb. "I must work the works of him that sent me, while it is day: the night cometh, when no man can work. As long as I am in the world, I am the light of the world. When Jesus had thus spoken, he spat on the ground, and made clay of the spittle, and he anointed the eyes of the blind man with the clay, And said unto him, Go, wash in the pool of Siloam, He went his way therefore, and washed, and came seeing." As Christians we seek to do the works of Jesus. Whether clay and spittle or advanced medical tools and treatments, the tools available to us will always require people from any creed willing to do this work while the means and opportunity exist. Regardless, the ritual of giving sight to the blind is worthy of our worship, awe, reverence, and sacrifice. First Sight: Sonia & Anita from Blue Chalk on Vimeo. It is a heavy burden this baby will take--the burden of all the sin, all the evils of the world. This baby will grow, and for the first time for humanity, this baby--now grown--will say: “I love humanity. I love this world. I will do what the highest aspiration and calling in me demands: I will swallow up everything that is evil, and take full responsibility for it all. I won’t single out the evil that only happens to me and my tribe. I won’t differentiate between tribes or individuals. I’ll accept responsibility for it all. I’ll take the full burden." 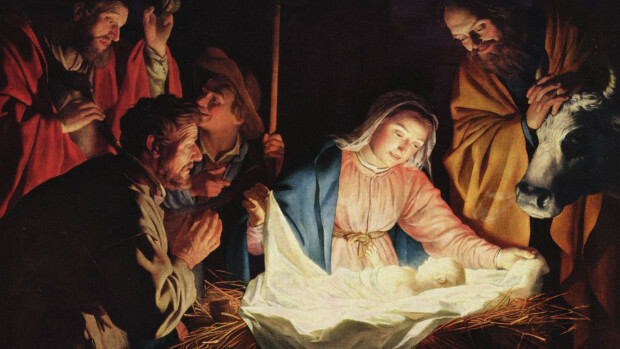 But what we should read in the whole scene: the shepherds, the wise men, the angels, the animals, and Mary and Joseph, is that we are there, seeing this baby, and imagining what it will later take on. And the witness we are making is not a spectator’s witness, but a witness as an oath to share in the burden. The image of the baby--helpless, naive, dependent, incapable on its own--should burn this oath on our souls. There was nothing sacred at the time of Jesus’ birth, only potential. It became sacred when He taught and lived a radically, infinitely progressive and expansive morality, and ultimately took on the whole of evil and death. Those acts, which required his birth, were what made His birth sacred. Our oath this season as we witness His birth is that we will carry the burden. We too will take responsibility for evil and death in the world, to the degree that we can, and recognize that our ability to take responsibility is, like the baby’s, more than we can currently imagine, and is continually increasing as our moral, physical, and technological horizons expand. A recent Norwegian version of O Come All Ye Faithful has a different refrain, but with (as I imagine it) the same escalating crescendo. It goes like this: We are His Thousand Hands! We are His Thousand Hands! We are His Thousand Hands! Be with us today! The following meditations are from a variety of members of the Mormon Transhumanist Association as they individually reflect on the Christmas season and on a vision of transhumanism that can produce fruits worthy of Christ. 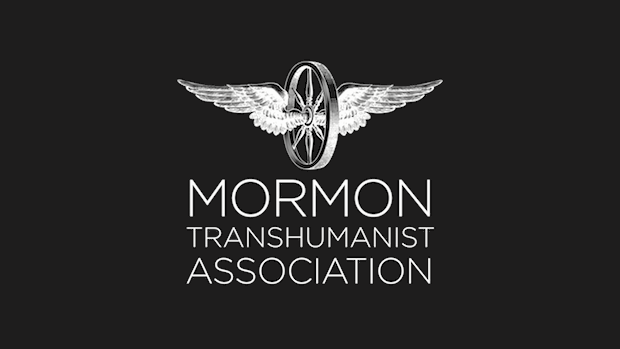 Each meditation is the view of the individual author and does not represent the official stance of the Mormon Transhumanist Association. The meditations vary in length from one sentence to a few paragraphs. Though each "meditation" has its own emphasis, some of the recurring themes draw from conversations had with family members, local Mormon congregation, and members of the Mormon Transhumanist Association: transhumanism, taking responsibility for death and evil in the world, the role of technology, theosis, etc. Some meditations will be purely Christian or religious in their focus while others will focus on how technology and transhumanism can play a role in advent meditations.